Susan and I talked about my compulsive shopping history, when and how I created this blog, some of the rules I follow to manage my shopping, and how I went from out of control spending to being able to stick to a budget for four years now. To listen to this podcast (it’s 42 minutes long), click here. I also recommend that you listen to Susan’s earlier episodes, as she offers a lot of practical tips and inspiration to help those of us who struggle with overshopping. On Thursday night, I was the presenter at the December meeting of the San Diego Minimalists Group (to find a minimalist group in your local area, click here). I spoke about my struggles with compulsive shopping, how “Recovering Shopaholic” came to be, and the ways in which I have improved my relationship with shopping and clothes. I also gave a background on the many reasons people have for overshopping and offered tips on how to shop more consciously and better manage one’s wardrobe. After I put together the handout for those who attended my presentation, I realized that such a resource consolidation would also make a great blog article, so I have revised and embellished the information for today’s post. While I’ve written about all of the topics below previously – and some of them many times, I know that not all of you have been with me since the beginning. In addition, even those who have been reading this blog since its early days may be interested in a bit of a refresher. This post can stand alone in that it contains a lot of great tips, yet it also includes links to earlier blog articles and external resources for those who want to learn more. As with my other “useful links” posts, I don’t expect anyone to click on all of the links I’ve included. The idea is to explore the ones that most interest you. You can always come back to other links later. In fact, I plan to later position this post in a more high-profile location, as it could be a good “one stop shop” for those who find my blog and are looking to learn as much as possible right away. Earlier this year, the topic of reasons for shopping addiction came up in my private Facebook group. I was so impressed by both the depth and diversity of the responses on that thread that I consolidated them into a blog post titled, “What Caused Your Compulsive Shopping Problem?” That post addresses many of the concepts outlined above, but it’s quite enlightening to read a variety of different perspectives on this issue. Over the years, I have offered many tips and strategies for shopping smarter, many of which I’ve discovered throughout my own recovery journey which continues to unfold. 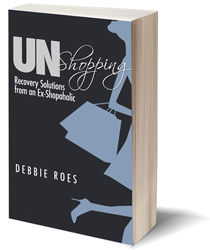 You can read about many of them on my Recovery Tips page, as well through the “Shopping Tips” blog category, and of course there’s always my first e-book, “UnShopping: Recovery Solutions from an Ex-Shopaholic.” I didn’t want to overwhelm the meetup group last night with too much information, so I just put together some of what I feel are the best tips out there related to conscious shopping. You can download a reminder card with the above questions on Dr. Benson’s website (scroll down the page) and clip it onto your credit card or keep it with your cash. Ask yourself and answer (preferably in writing) the questions before making a purchase. Taking that brief pause can make all the difference! Shop with a budget and a list (and stick to it). Shop with cash instead of credit cards (perhaps try the “envelope method”). Set a time limit for how long you can shop (or arrange your shopping trips around other time commitments). Don’t shop when you’re hungry, angry, lonely, or tired (HALT). Never buy something on sale that you wouldn’t pay full price for. Track your purchases (software programs such as YNAB can be very helpful). Review your purchases a month or more down the line to learn from both successes and mistakes (as I do with my purchase review posts). If you struggle mostly with online shopping, check out these specific tips. If holiday shopping tends to be a problem for you, I have written several blog posts on that topic: HERE, HERE, and HERE. Always aim for quality over quantity (avoid “fast fashion”). Wear your favorite clothes when shopping and aim for all of your purchases to be as good as or better than what you’re wearing. Aim for “8”s or higher on a scale of 1-10. Do a “closet audit” before you shop. Buy for your current body and lifestyle (ask “When and where will I wear it?). Return anything you haven’t worn in a month. Maintain an ongoing “shopping priorities list” and always have it with you when you shop. Consider whether or not you will wear something at least 30 times. Only buy pieces that match your own personal style aesthetic, not that of a friend, relative, or sales associate. Use “the hanger trick” (Turn all of your hangers so that the hooks face outward instead of inward. As you wear items, turn the hangers to face inward.) Here are some other tracking ideas. Do a closet inventory so you’re aware of what you have and any areas of duplication (here’s the first one I did and the last one). Determine your ideal frequency of wear (decide how often you’d ideally like to wear the items in your wardrobe, then do the math to determine how much you really need). Does it fit my current body? Does it fit my current lifestyle? Do I feel good when I wear it? Consider having an item limit and/or using a “one in, one out” strategy. Try Project 333 or another capsule wardrobe challenge (if you are too scared to actually do such a challenge, try just coming up with a hypothetical capsule, as that can also be quite informative). Take photos of your outfits or keep an outfit journal. Create lists of your favorite and least favorite closet pieces and make notes about what they have in common (this can help you to make better choices moving forward). Challenge yourself to wear your “wardrobe benchwarmers” and make decisions about them. Create lists of your wardrobe “do’s” and “don’ts” (overall characteristics, colors, patterns, fabrics, etc. – here’s mine). 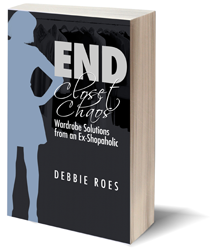 I hope you gained a few helpful tips for shopping smarter and better managing your wardrobe. Feel free to share any additional resources that you’ve found beneficial in your own journey. This entry was posted in Resources, Shopping Tips, Wardrobe Management. Bookmark the permalink. I really like your article on buying for someone else’s life. My fantasy life items that I bought so much of over the years and have finally eliminated are jeans, skirts and bags. I basically don’t like jeans, why on earth did I insist on buying jeans and fantasizing that I would wear them is beyond me now. As for skirts, I always choose dresses over skirts in the summer and I have one dress in the winter for the rare ‘nicer’ occasion out. I had three wool skirts that I did wear often at one stage of my life but I always had to wear tights underneath to be warm enough so I got rid of those over the years. Bags – I like sticking with one, maybe two bags all the time. I hate switching out bags unless a situation requires me to bring much more than my everyday. Those situations usually involves going somewhere with my kids and I have a holdall canvas tote that I’ve been using for years and still love. I have bought and sold/donated over 30 bags over the course of 8 years and now I have 3 everyday type bags and 1 canvas holdall. In reality, I only need one everyday bag but I’m still holding on to two for fantasy type scenarios. I also went through several rounds of fantasy life wardrobes the first few years after I had my first child, 8 years ago. 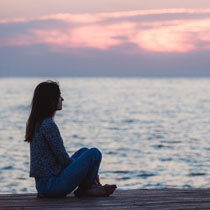 I started to curb my shopping a lot more after my second child, as I quickly knew from experience that I didn’t want to go through the same identity crisis and was stronger to face my reality. I still have lots of urges to fight to not buy for a fantasy life and this fall I did slip a few times (6 to be precise!). What helps me sometimes is looking at a photo of my wardrobe 4 years ago and seeing that I only own 2 items from that period is really sobering. I’m glad you liked my article on buying for someone else’s life, Wendy, and I appreciate your sharing your experiences with that phenomenon. It has been a huge issue for me, too, over the years and I still have to hold myself back from buying things that may look great but just don’t work for my life. I used to be a big jeans person, but not as much anymore because I just don’t find them all that comfortable. I feel similarly to you about bags, too. I will change mine out every few months, but not usually more often than that. I like to have a few to choose from, but I certainly don’t need 10 or more! Good for you for getting really clear on what does and doesn’t work for your life and taking steps to have your wardrobe match your lifestyle. Even the few slips that you’ve made don’t sound that bad. I have made more mistakes than that this year! I do still have quite a few older items in my wardrobe, but there are SO many things that didn’t even last a year because I shouldn’t have bought them in the first place. I agree that it’s very sobering!